This is one genre I have not yet delved into but there is always time! 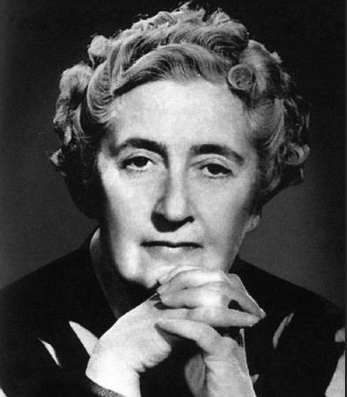 As a British native the author who comes to mind for me is, of course, Agatha Christie. She wrote 80 detective novels, which in anyone’s books is a lot. There was a formula to her work but it did not deter hundreds of faithful readers from buying her books as well as inspiring numerous TV series and movies. With numerous ‘red herrings’, twists and turns that kept her readers guessing, Agatha was a master of her genre. It is believed she enjoyed reading the genre so wrote ‘what she knew’ to some extent. The earliest archetype for a whodunnit murder mystery is – “The Three Apples” in the One Thousand and One Nights, but the first ‘true’ whodunnit is widely regarded as – Wilkie Collins‘s The Moonstone (1868). As most of you know I’m not restricted to one genre, having written children’s fiction, romance, speculative fiction and fantasy. I enjoy exploring the differences each genre possesses. Who knows maybe one will ‘click’ with me and I will find my favored genre – or not! Even Agatha wrote other genres, such as romances under the pen name Mary Westmacott and also the famous long running play, The Mousetrap. Testing out various genres is a good way to find our true voice as a writer. Some may not appeal of course so don’t waste your time struggling with those. Sometimes an idea grows into a particular genre without us consciously driving it one way or the other – these are the fun ones. So do you dabble or have you found your niche?